Dr. Daniel Biene attended law school with a media industry focus in Germany, Hong Kong, the United States, and Switzerland. In addition to his two law degrees from Germany and New York he holds a Ph.D. in international media law and economics from the Max Planck Institute for Innovation and Competition. After working for Clifford Chance in Hong Kong and Freshfields Bruckhaus Deringer in Berlin he switched his career to the management side and worked in C-level leadership roles for large media companies. Most recently he served as President & CEO of a U.S. subsidiary of Axel Springer, the international media group. During this time he was responsible for several widely known digital media and digital platform brands. He then became a serial entrepreneur and founded successful internet startups backed by renowned venture capital funds. Among the startups founded and led by him are Smartlaw (acquired by Wolters Kluwer) and Legalbase (acquired by LegalZoom), both of which pioneered the legal tech category in Europe. 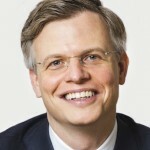 After Smartlaw was acquired he became Managing Director of all of Wolters Kluwer’s digital B2C platform businesses. Dr. Biene is one of only a handful of people with deep leadership experience in both large global corporations as well as internet startups managed according to lean and agile best practices. When working with clients, he places a particular emphasis on combining the best of both worlds, in order to generate tangible and sustainable results quickly. Based on his personal experience, Dr. Biene is intimately familiar with the critical importance of the human factor for the success of ventures large and small. This includes the challenges and opportunities created by digitization, generational change, and globalization in the workplace. He enjoys helping create purpose-driven, highly motivated and truly impactful teams. Dr. Biene is a frequently invited speaker on topics of innovation and digital transformation. He has been serving on the Board of the German-American Lawyers Association for more than 20 years and takes his coffee with milk and sugar.